These trips are perfect for tandem cycling. Flat and easy routes mean that even beginners to tandem cycling will pick it up quickly and safely, and the relaxing routes mean you can take it in turns to navigate, and to watch the world go by! Enjoy quality time with your partner in adventures, with a tandem twist! 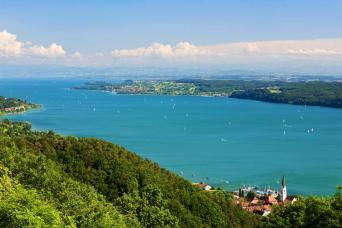 Cycle the most popular route in Europe, following a flat easy going, dedicated cycle path around the sparkling shores of Bodensee, also known as Lake Constance. 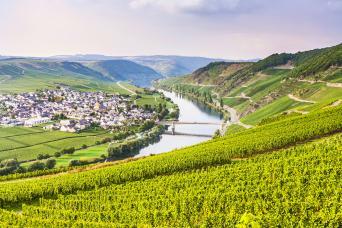 Straddling Austria, Switzerland and Germany Lake Constance is peppered with fairy tale villages, medieval towns and inviting lakeside beaches to soak up far reaching panoramic views of the Alps. 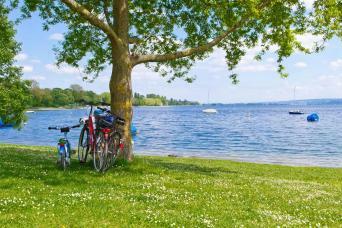 Take a short break on Europe’s number one cycling route; The Lake Constance Cycle Path. 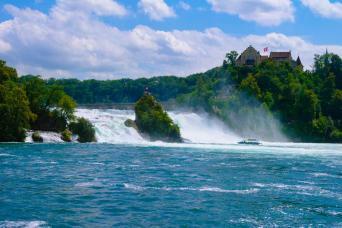 Travel through Switzerland and Germany, pedalling from the town of Constance to Europe’s largest waterfalls, the mighty Rhine Falls. Combine bike and boat to journey through the contrasts of Southern Holland. 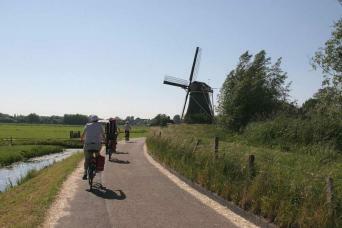 Easy going cycle paths link the futuristic city of Rotterdam with the pottery town of Delft and cheese craft of Gouda.